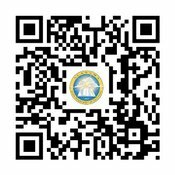 Welcome to the Sumter County Board of Education Assessment Departments' Home Page. The Assessment Department is responsible for the oversight of all state and national assessments given in the district. The departments' mission is to ensure accurate student assessment and accountability at the highest possible level. The district strives to ensure that students' tests are reliable and valid to measure students' progress through our academic programs and state required standards. This site provides access to Statewide Assessment Reports and School Level Assessment Reports. We hope that you find this page easy to navigate and informative.